With a year of training at Riverton’s Bressler Boxing behind her, 30-year-old Salt Lake City boxer Molly Janke has hopes of going pro. 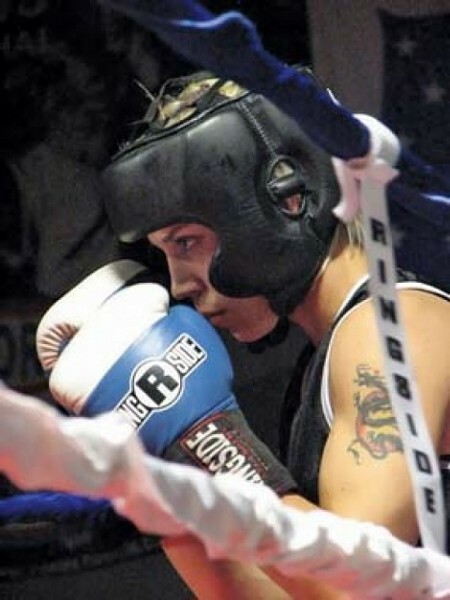 Her next fight is Friday, April 11, at 7 p.m., in Building 10 Pole Line Road, Pocatello, Idaho. Why did you start boxing? It’s the ultimate contest. You’re in there with one other person, and one of you has to prove themselves above the other. It’s very archaic but cool. Why is it so hard for you to find fights? I don’t like to think that it’s because I’m too good for them (pauses), but I guess it is semi-true. The other thing is that there are few women boxers and once you get beat up, you usually don’t want to step back in the ring again to get beat up some more. Have you ever considered fighting in a men’s circuit to get more fights? I spar with men of my same weight class. I wouldn’t discount it, that’s for sure. How is boxing fulfilling for you? It’s a huge personal challenge. It’s the hardest thing I’ve ever done. Also, with boxing you have to have so much respect for the person that you are in the ring with cause there’s a possibility that they’re gonna beat the crap out of you. Do you typically have a lot of aggression outside the ring? No. I’m actually a big marshmallow outside the ring. I’m a lover and a fighter. What hurdles do you face in proving yourself in a realm dominated by men? I don’t like to think in those terms. I don’t go in assuming that I have this big disadvantage, and neither do they. The way we spar is completely respectful. It’s not like they’re trying to take my head off, but they’re also not pulling any punches.